Large Community "Garage Sale" at Lavender Coliseum located on the Lowndes County Fairgrounds with space for 116 sales booths. Food vendors, as well, outside. One Day Only - June 3, 2017! Individuals are needed to help assign vendor spots and help vendors unload items. Yes, 5:00 a.m.! We will need help assisting the attendees with the best parking arrangements in the parking lots. Every individual attending the event must sign a waiver, a sign-in sheet and receive a arm band. Can you help? 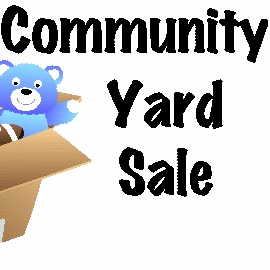 Log in to see who is volunteering for World's Largest Garage Sale!